Today we are chatting with Photographer and Editor of Mini Maven magazine, Kymberly Marciano about life in LA and getting some inside info about this amazing publication! You’re editor and photographer to one of America’s more popular Children’s magazines- how do you manage the juggle of motherhood? When you are passionate and do what you love, things fall into place. I believe that! When growing up, did you reach for the calculator or your crayons? Creative, whole heartedly. Daughter of a painter and architect, it’s in my genes! What age did you first pick up a camera? Did you always know you wanted to be a photographer? No I Did not, I spent over 10 years in front of the lens, developed a appreciation for lighting, composition, art and fashion…it found me, it was destiny for sure! I didn’t pick up a camera until my early twenties! Talk us through life in LA. What does your typical ‘9-5’ look like? Coffee first, school drop-off, Yoga, shooting, editing, curating next shoots, and who knows how the rest of the day unfolds between kids, and deadlines, something is always brewing! I like to be home if possible, but then dining is always tempting! Is it “parties, parties, parties” or do you manage to get down time with the family? LA is one of those places you can be social in a more chill kind of way. We tend to entertain at home or hop from house to house. I am lucky to have friends with kids that are super cool! Date night with my husband of 15 years is a must; watching the sunsets are a must, a glass of rosé doesn’t hurt, and I save my “party party” for my retreat in Mexcio, Costa Careyes. 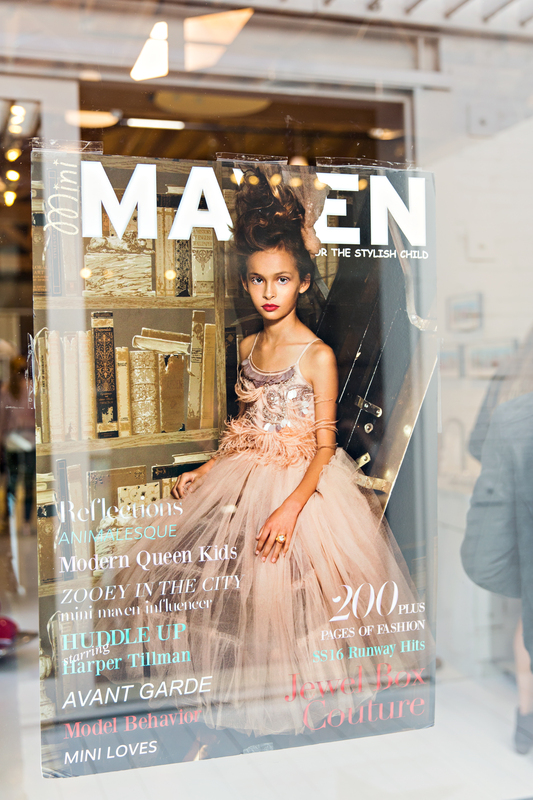 Tell us about the magazine- why did you decide to launch Mini Maven? I love children and fashion. I have 3 of my own. I am philanthropic and an advocate for children’s causes! Mini Maven has many facets. It is an online destination for the stylish child and parent, featuring coveted fashion from around the world in our stunning editorials which then become shop-able! Essentially a store to shop the look! At the same time, we are a high end publication printed twice a year! The Publication is more of a coffee-table-book-meets-magazine, and is surely to become a collectable for the photography, fashion, and features are beyond stunning! There is nothing quite like it. Tell us about the magic behind the brand and the brands that have been featured in your glossy pages? Mini Maven is about individuality and self-expression. A Maven is one who is the leader in what they do. They inspire. I carefully choose and invite creatives to join the MM family and create what I feel is unique and special. The brands I seek out, are exactly that. We work with brands from all corners of the world. Mini Maven has a specific and overall aesthetic and attracts just amazing people, I feel blessed. You’ve had your eye on Australia (we can’t wait for you to come!) – why do you think Mums will love the publication? OH Yes, I LOVE Australia! I would like so much to come back. I lived there when I was 17 for 4 months, and NEVER wanted to leave! 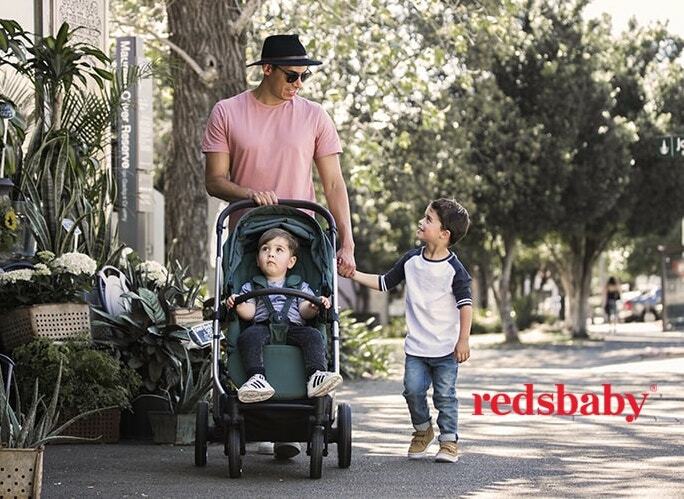 I work with so many brands such as Tutu Du Monde, Feather Drum, Gardner and The Gang, Milk N Soda, Incy to name a few…the list just goes on and on… I love the style of Australian mums, whether it’s classic cool or boho chic, there is such ease and beauty about all of them, I admire them all! Where to next- for both you and Mini Maven Magazine? What does the next 5 years look like? Let me just get past these next few weeks as I am currently birthing our next issue, The Iconic Issue set to launch mid September! I’ll Head to NYC for Fashion week and launch it there! Get ready Australia, because the issue is 186 pages of children’s fashion, 14 editorials, features and more! !